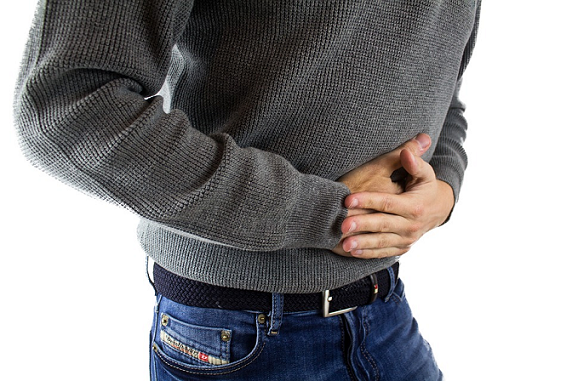 Diarrhea is your body’s natural way of responding to infections that affect the digestive system or to foods that just don’t sit well in your body. So, even though the word “diarrhea” might sound ugly on the surface, it’s actually a beneficial response. Although diarrhea is usually a spontaneous thing, you can actually induce it whenever you want. This sounds like a crazy thing to do, but sometimes you just need to flush your gut to feel better. In this post, you’d learn some safe but not-so-failproof tips on how to cause “fake” diarrhea on purpose — for whatever innocent reasons you might have. Note, however, that inducing diarrhea when your body is absolutely normal can cause serious problems ranging from electrolyte imbalances to coma. With all of the above in mind, let’s dive right in! Ordinarily, laxatives are used to induce bowel movements in people with constipation. But in any case, they flush the digestive system, sending all food particles and fluids to the outside. Magnesium sulfate and magnesium citrate are good examples. Most laxatives work by attracting lots of fluids from your body into your bowels. This makes for an easy flushing process. And provided they are used occasionally, laxatives are not very dangerous. After taking a laxative, bowel movements start within the next 20 minutes to 3 hours. Caffeine is not just a diuretic, but it’s also a proven laxative. So, caffeine-containing foods or drinks have the potential to cause diarrhea. Since coffee is the most widely consumed caffeine-containing drink, it’s your best option. Taking more than 2 or 3 cups of coffee daily will most likely cause diarrhea. Alternatively, you can take caffeine-containing tea. Even decaffeinated drinks have been found to retain the chemicals that loosen stools and cause diarrhea. Note, however, that excessive amounts of caffeine can be dangerous, especially when taken consistently. So, it’s strongly recommended that you try thing for just one or two days. Honey contains fructose, a natural sugar that packs some calories. When taken in large amounts, fructose can cause diarrhea. So, if you take a lot of honey or fructose-rich fruits, expect an aggressive clearance of your bowels within some minutes to a few hours. Interestingly, honey is also used to treat diarrhea — the type associated with gastroenteritis and caused by bacteria. It’s also effective when used as part of oral rehydration therapy. So, its safe to conclude that taking a lot of honey when you’re absolutely fine can help induce diarrhea whenever you want that. One of the safest ways to induce diarrhea is doing what is a called a “vitamin C flush”. This involves taking a specified dose of vitamin C (ascorbate) powder on an empty stomach early in the morning. The powder is first diluted in water or juice, and the mixture is taken at intervals until bowel movements start. There’s a lot more to the vitamin C flush method than this post can cover. So, you can check this document for more details on the procedure. Alternatively, you can simply take lots of vitamin C-rich fruits such as oranges, pineapples, mangoes, and so on. Senna, also known as sennoside, is a natural laxative used to treat constipation. It helps to empty the large intestine within a very short period, and this is why it’s widely used for bowel emptying prior to surgery. Ordinarily, senna would induce normal bowel movement. But if diarrhea is what you really want from it, then you’d have to take in higher doses than normal. As with most other laxatives, senna can cause impaired bowel function and electrolyte imbalances when used for too long. So, don’t turn it into a daily-use medication. Castor oil contains ricinoleic acid, a substance that stimulates a strong laxative effect. This explains why castor oil is one of the most effective solutions for relieving constipation. While small doses of castor oil are just enough to cause its laxative effects, larger doses will make it “go the extra mile” by clearing the bowel in a faster and more aggressive way. And that’s diarrhea. Note, however, that castor oil can also cause abdominal cramps and nausea. Some certain foods cause you to visit the toilet shortly after taking them. These foods vary from individual to individual, but some are just notorious for stimulating bowel movements. Start by thinking of foods that induce diarrhea whenever you take them, and those are your best options since you’ve experienced their effects. But if you can’t think of any, you may want to try out some of the foods listed above. I wouldn’t know why anyone would want to fake diarrhea, but if you’re sure it’s something just have to do, some of the “tricks” in this post should work for you. But once again, remember that this isn’t absolutely safe, as it might tip your body into some nasty developments that can get really fatal.